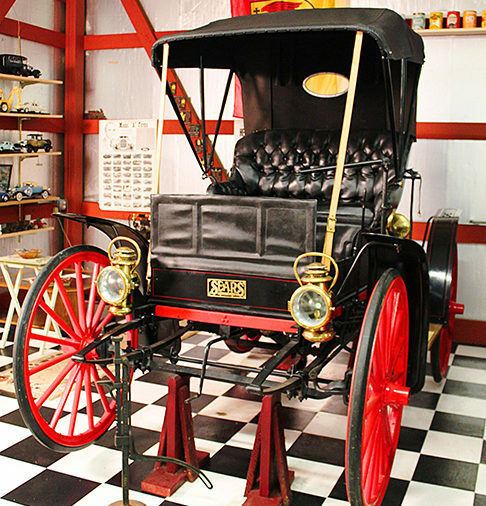 Just accepted into the 2014 Ault Park Concours d’Elegance is this Sears 1909 Motor Buggy. As with everything Sears sold, this vehicle could be ordered directly from the catalogue. Pictured below is the Model L that included such amenities as fenders, a top, running boards, and pneumatic tires. 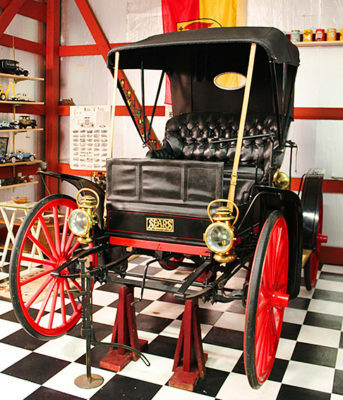 This automobile was manufactured by the Sears Motor Car Works factory in Chicago, Illinois. The engine has a 2-cylinder air cool, direct-opposed engine with 4” diameter bore and horsepower of 14. Top speed is 20 MPH. According to searsmotorbuggy.com, the Motor Buggy could be picked up in Chicago or delivered by rail to your closest railroad depot. All that a new owner needed to do was uncrate it, do some minor assembly, add fuel and oil and drive it home. Previous PostPut your eye on this Microcar!